December 13th is a date of hope and positive outcomes and a time when inspiration is found to reach the furthest of distances even with everyone's opinions and attitudes standing against us. The knowledge is rooted deep in one's heart and people born at this time may seem stubborn in their attempt to hold on to emotional dignity and moral commands felt deep within their being. It is important that they don’t allow the flow of atmospheres around them to influence their own beliefs and their natural state of wisdom that pulls them into new opportunities. Instead, they are meant to teach others how to open their hearts as well, remember their inner child, so they can find their own open doors along the way too. Off to save the world, December 13th born are on a pursuit of happiness in a quite lyrical sense. They aren’t only idealists but also philosophers on a mission to share information with others and enrich the worlds of many even when they have very little. They are giving, warm, and wide in acceptance for the entire humankind, seeing differences in people as inspiration for growth. Travelers and those ready to learn, they need their ego stable and their foundation solid, so they can truly stay on the move and create something with these incredible energies instead of simply keeping them in their mind. If they lose focus and get burdened by guilt for their choices in life, they become difficult for other people, as they share philosophies they don’t abide by, and talk too much about mental states that should really be lived through, not spoken on. "A Child and a Dog Wearing Borrowed Eyeglasses"
Emotional cleansing is seen here as an issue of relevance and something that needs detailed analysis to be brought down to an instinctive and childlike level. People born on this date wish to connect their higher emotional Self with the essence of their authentic personality, along with impulses felt in their connection to Nature and all its creatures. They will enjoy travel more than any other Sagittarius representative, as if this could ever be measured, and find the most wonderful opportunities when they keep their physiology and their heart clean of toxic atmospheres and influences. The need to expand their consciousness is guided by a strong push of personal freedom in those born on December 13th and their mission is to set free from social norms and limiting beliefs fed on them by any surroundings at a young age. Their life is typically a series of information and symbols that guide them in certain directions, and their task is to learn to decipher the signs instead of turning to superstition or chaotically moving where destiny takes them. To take control of their life, they must take responsibility for the wellbeing of their heart and move out of toxic social circles and relationships without fear. 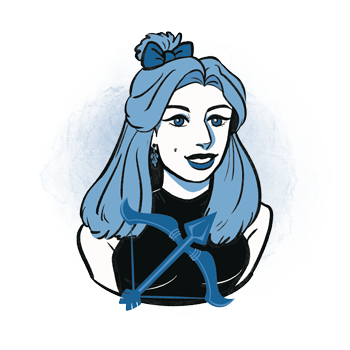 With emotions constantly flowing and growing, those born on December 13th have a large appetite for love and need someone fluent enough to follow through. They won’t settle for a partner who isn’t adventurous and ambitious enough, not because they are snobby or driven by ego, but because they need constant movement in their life to rush towards freedom. Staying in one place for too long could make them restless, even depressed, and those who wish to be with them need to acknowledge and respect this fact if they are to stick around. Their romances might be many, but when grand love is found, they tend to hold on to it, projecting plans too far ahead and losing sight of reality. When such a bond breaks, they might remain tied to it in belief that everything will once again be as it was, and this could slowly distance them from new opportunities and contacts. They are to cleanse their heart of the past and let the future be in the future, so they can live in the moment and enjoy actual emotional freedom with a good friend by their side and someone to share in their adventures, falling in love with the same person in a continuous daily loop. 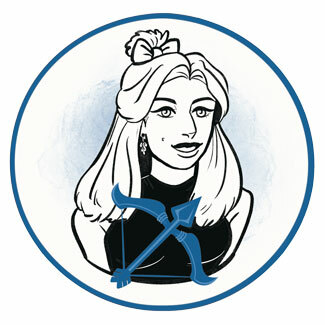 A Sagittarius representative born on December 13th excels in all extreme activities, sports, and risky investments. They know how to obtain a fortune, although rarely aware of ways to keep it, and wish for a career in teaching, travel agencies, law or any position that allows a lot of travel and expansion of knowledge. They will work anywhere to provide what is necessary for a loving, large family and make wonderful parents when they decide to settle with a good friend for a partner. Scapolite is a good stone for people born on the 13th of December, there to cleanse their heart and teach them that past wounds don’t define their identity, allowing the natural process of healing to occur. This is a crystal to teach one how to use emotional power and see when others are trying to manipulate or push them off balance for personal gain. This stone removes emotional baggage and all those atmospheres that taint one's image, leading to clearer vision and actual steps forwards taken instead of simply thinking about things that need to get done at some undefined moment. People born on December 13th sometimes have grand expectations, but their gift will satisfy them deeply when coming from the heart. Still, it is wise to think about options that are rewarding, big, warm and true, travel plans, big parties and a cake made especially for the occasion. Take them out for a carriage ride, horseback riding, to an expensive dinner and a place where they are to dress up. Buy a piece of clothing they will wear for a special night at the theater that you planned months ahead, or create an opportunity for them to spend some time with an idol and someone they have outmost respect for. Warm, wide, open for interaction, they are fiery travelers, those who create hope and a sense of home wherever they go and see the good where there seems to be no good left. Governed by high philosophies, they detach from the ground, reality and other people, trying to find answers in their mind that can only be found in their emotional world and through actual interaction with other people. In 1957 Steve Buscemi was born, an American actor, comedian and a director, known for his roles in Reservoir Dogs, Con Air, Big Fish and many others. Before his acting career began, he was a firefighter in NYC. In 1967 Jamie Foxx was born, an American actor, songwriter and singer, who won an Academy Award for Best Actor for his role in the biographical movie Ray. In 2016 he rescued a young man from a burning vehicle that crashed outside his home. In 1989 Taylor Swift was born, an American singer, songwriter and actress, recognized for narrative songs about her personal life. She earned awards for her work in philanthropy, including the Ripple of Hope Award due to her "dedication to advocacy at such a young age". 1577 – The round-the-world journey of Sir Francis Drake begins from Plymouth, England. 1769 – Founding of the Dartmouth College. 1949 – It is voted that the capital of Israel should move to Jerusalem. 1962 – Launch of the first active repeater communications satellite in Earth's orbit. 2003 – In operation Red Dawn, Saddam Hussein (born on April 28th) is captured near his home town. 2006 – The UN General Assembly adopts the Convention on the Rights of Persons with Disabilities.